ACTIVITY in Solubility, Solute & Solvent, Intermolecular Forces. Last updated April 12, 2019. Use their model to predict the relative solubility of salt in isopropyl alcohol and water. Design an experiment to test their prediction. Refine their model based on observations made while conducting their experiment. Read more about this activity, and the related activity, Basic Modeling of the Dissolving Phenomenon, in the associated article, Using Learning Progression to Improve Scientific Modeling in Chemistry in the May 2018 issue of Chemistry Solutions. Acknowledgements: This lesson is based on the “Why Does Water Dissolve Salt?” activity from Chapter 5, Lesson 3 on the Middle School Chemistry website. This website, brought to us by the American Chemical Society, allows students to investigate the world of atoms and molecules. All of the images used in the student documents are also from the Middle School Chemistry website. The advanced modeling version of this activity allows for students to develop a deeper understanding of the dissolution process as they try to make sense of this phenomenon, and also to highlight any misconceptions they have. Engage: Students will construct a model of sodium chloride salt crystal based on their knowledge of ionic compounds. Using this they will consider how the salt would interact with water in order to dissolve. Students will present their model to the class for discussion and evaluation. Afterwards groups will have the opportunity to discuss the pros and cons of their model and make any necessary changes. Explore: Students will then construct a model to explore the interaction between salt and a different substance, alcohol. 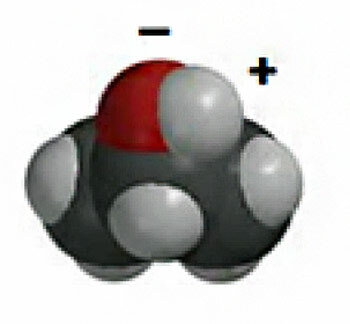 An image of an alcohol molecule has been provided for their reference on the student sheet. Students should think about what is taking place at the molecular level. Explain: Students will make a prediction about what solvent is better at dissolving salt. Next they will design an experimental procedure to test their prediction. Each group should record their procedures and get them approved before conducting their experiment. Procedures should include safety concerns, a list of all materials and equipment you will need (including amounts), and a detailed list of procedures. Based on the experiment results, students should use claim-evidence-reasoning (CER) to formulate a scientific argument for their model based on their evidence. Elaborate: Students will visit each group and engage in argumentation of their claim. One student will stay behind to interact with the other groups. After this have concluded groups should be encouraged to discuss their findings and make any adjustments necessary to their model and argument. Evaluate: Students should now be able to construct a scientific explanation for the question: “Is alcohol just as good, better, or worse than water at dissolving salt?” They should fully explain their answer using their observations and the model of dissolving that they developed at the beginning of the lesson. Extension: Students use their models and observations to explain why calcium carbonate, which is also an ionic compound, does not dissolve in water. The dissolving process looks simple on the surface, but there are many things going on at the atomic level that help determine if a substance will dissolve in water or other liquids. During this activity we will learn about salt’s lattice structure and how ion charge and the polarity of water are both important parts of the dissolving process. Question: How does salt dissolve in water? Construct a model of a sodium chloride salt crystal based upon your knowledge of ionic compounds. Build a model of the interaction between water and your salt model to understand what is taking place on the molecular level that allows for salt to dissolve in water. Present your model to the class for evaluation and discussion. Return to your group to discuss pros and cons of other models and make any changes to your model. Question: How does salt dissolve in alcohol? Construct a model of the interaction between alcohol (based on the alcohol molecule given) and salt to understand what is taking place on the molecular level when salt is added to alcohol. From your model, predict what solvent is better at dissolving salt. Design an experimental procedure to test your prediction. Each group should record their procedures and get them approved before conducting their experiment. Procedures should include safety concerns, a list of all materials and equipment you will need (including amounts), and a detailed list of procedures. Using CER, formulate a scientific argument for your model based on your evidence. One student from your group will stay behind while the others visit each group and engage in argumentation of their claim. Return to your group and make any adjustments to your model and argument. Using your models, experiments etc. construct a scientific explanation as to why you think one substance is better than the other at dissolving salt. Using your models and your understanding of solubility, explain why Calcium carbonate doesn’t dissolve in water even though it is ionic like sodium chloride.